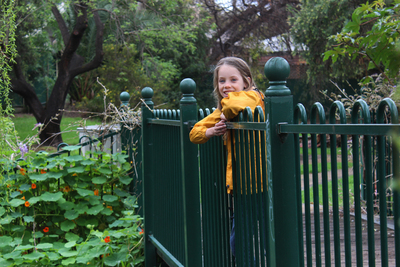 Wayville Reserve is a playground and park, just off of Goodwood Road and across from the Adelaide Showgrounds. 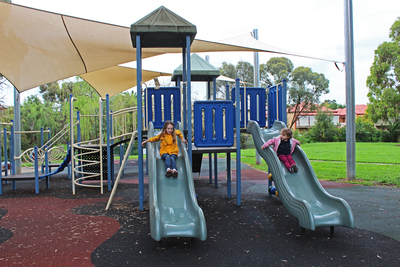 The reserve is small, but features a large playground suitable for younger and older kids. 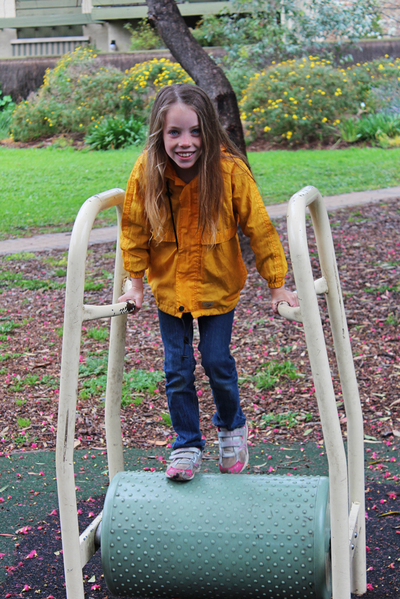 The playground has slides, bridges, climbing frames, monkey bars, and a whole load of other fun things. It's also covered in shade sails to keep kids protected from harsh summer sun. The 8-year-old loved the monkey bars while the 5-year-old was a little obsessed with the strange see-saw. 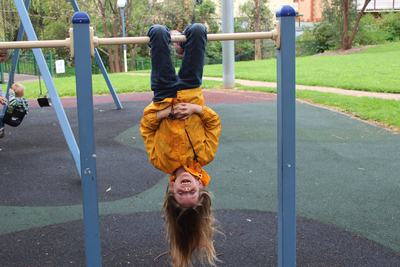 The playground still isn't hugely challenging for older kids, but it's great for kids at the in-between stage. 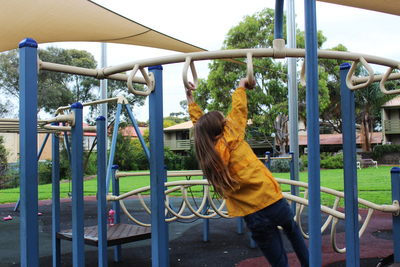 There are a couple of better playgrounds nearby if you have younger toddlers, like Souter Park, Goodwood Oval, the Princess Margaret Playground, or Orphanage Park. 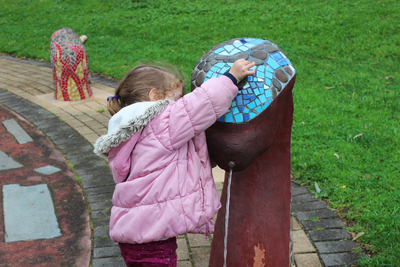 Another favourite part about Wayville Reserve is the sea monster. Looking a bit like Nessie as she raises above Loch Ness, she doubles as a water fountain. Be warned, kids may end up a bit wet but at least they'll be having fun. It's a godsend in Summer when temperatures get a little too hot to handle. There are no toilets on the reserve, but there's a BP on the run where you can take kids if you need to make an emergency toilet stop. There's a small bit of grass to the side of the playground where you can play ball games or where kids can run around and there's also a bridge that crosses over to a quieter picnic area. Crossing over is a little like entering a secret garden. There's a barbecue and picnic seating so you can cook up some food too. Millswood Park is a great little suburban park. It's a good treat for kids if you've spent the day dragging them round any expos being held at the Adelaide Showgrounds. There is parking on Le Hunte Street, but if you're attempting a visit near the Royal Adelaide Show you'll probably struggle to get a park. 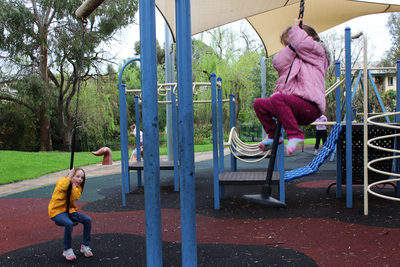 The playground is also close to Goodwood Road busses, and the Goodwood Road and Wayville tram stops.